Next Generation Systems is proud to be the only repair system on the market to offer contractor training. Individuals who have completed our 4 hour course are authorized to offer a 10 year performance guarantee as a quality partner with NGS. In addition to the 4 hour course, NGS also offers a 30 minute Lunch & Learn Program designed to help crews more effectively identify and solve wood repair issues in the field. "The time John Stahl spent with our crew was invaluable, answering the many questions our crew had about technique and uses of the product. And since our crew have their hands and minds in the field, having them learn about the product prevents misuse, increases productivity, and prevents costly field mistakes. 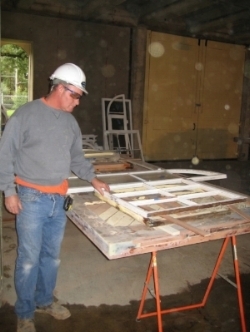 Not only do I recommend the Dura-Fix system, but having John spend time with our crew is time well spent." Rob Cagnetta President Heritage Restoration, Inc.